With thousands of press releases published each week, it can be difficult to keep up with everything on PR Newswire for Journalists. Here are some of the most newsworthy releases you might have missed from the last two weeks. Members of the media can register for PR Newswire for Journalists at prnmedia.prnewswire.com. Customize your profile to get the news releases you want before they make headlines. It’s free and takes only a few moments to sign up. 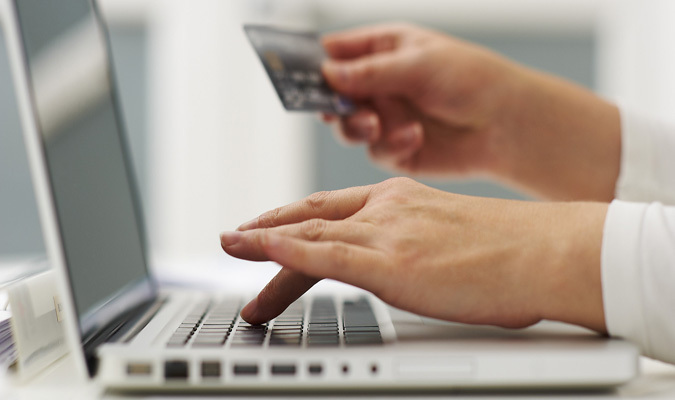 comScore on Dec. 2 reported holiday season U.S. retail e-commerce spending from desktop computers for the first 30 days of the November-December 2015 holiday season. For the holiday season-to-date, $27.9 billion has been spent online, marking a 6% increase versus the corresponding days last year. Cyber Monday reached $2.28 billion in desktop online spending, up 12% versus year ago, representing the heaviest online spending day in history and the first day of the 2015 season to surpass $2 billion in sales. The weekend after Thanksgiving also reached a major milestone as it saw its first ever billion-dollar online shopping day on Sunday, while Saturday sales reached the $1 billion mark for second year in a row. See the full release to learn more about 2015 holiday spending. Interested in receiving more press releases like this? Sign up for PR Newswire for Journalists and create a free profile to have news emailed to you about retail and technology. Get started now. A new study released Nov. 23 by the American Highway Users Alliance identifies America’s 50 worst bottlenecks and finds that the very worst bottleneck, as measured by hours of delay, is in Chicago. Los Angeles owns the next six of the top 10. Speaking at the American Highway Users Alliance press conference, U.S. Transportation Secretary Anthony Foxx said, “This report furthers the unassailable truth that America is stuck in traffic. The good news is that this problem is solvable, and Congress can be part of the solution. As a long-term surface transportation bill moves through conference, I urge our elected leaders to provide the funding growth and policies that are necessary to improve commutes, to raise the bar for safety, and to keep the country moving in the 21st century.” See the full release to see the complete list. Don’t miss other transportation news like this. Sign up for PR Newswire for Journalists and create a free profile to have press releases emailed to you on the topics you cover. Get started now. 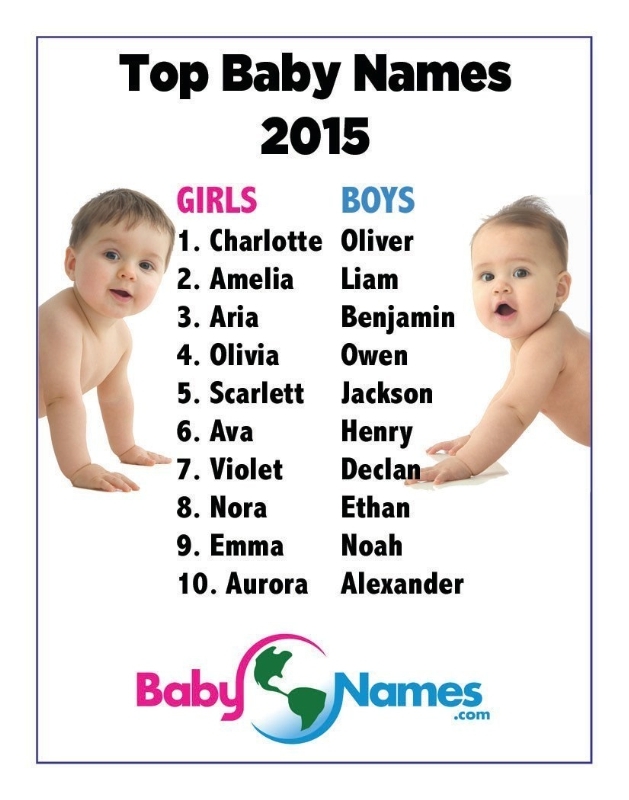 BabyNames.com has tallied up the most popular names of the year and the winners are Charlotte for girls and Oliver for boys. “Since our popularity lists are derived from our millions of members’ favorite name lists, they actually predict the future birth trends by one to three years,” said BabyNames.com founder, Jennifer Moss. “For example, Liam has been the #1 boys’ name on our site for four years. It’s now risen to #2 in actual U.S. births. And Noah, which is #1 for U.S. births has already peaked and is already trending downward on our charts.” See the full release to learn what other names made the list. Want to make sure you don’t miss lifestyle news? Sign up for PR Newswire for Journalists and create a free profile to have releases emailed to you about the topics you cover. Get started now. Global superstar, Grammy Award-winner, and multi-platinum selling artist Rihanna on Nov. 23 announced THE ANTI WORLD TOUR. The tour, produced by Live Nation, will kick off in North America on Friday, Feb. 26, 2016 at Viejas Arena in San Diego with nearly 40 shows lined up in New York City, Los Angeles, Toronto, Chicago, Vancouver, Washington, D.C. and more. Samsung is the presenting partner on the North American leg of the tour, while PUMA is a supporting partner. Travis Scott will be the special guest on North American dates. The European leg of the tour will then follow with dates set up in London, Amsterdam, Berlin, Milan, Vienna and more. The Weeknd and Big Sean will be featured as special guests on all European dates. Tickets for all North American and European dates go on sale on Thursday, Dec. 3 at http://www.livenation.com. See the full release to see a full list of tour dates. Interested in receiving more music news like this? Sign up for PR Newswire for Journalists and create a free profile to get press releases sent to you on the topics you cover. Get started now. Reflecting a steep decline in energy costs, lower inflation, and slow-but-steady economic growth, the 2015 PNC Christmas Price Index (PNC CPI) experienced its lowest growth rate in six years at 0.6% in the whimsical economic analysis by PNC Wealth Management. 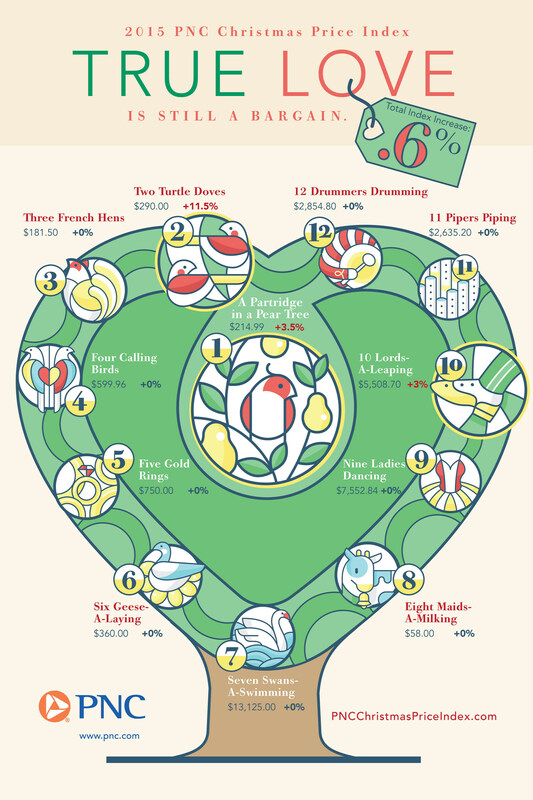 According to the 32nd annual report which measures the cost of the gifts in the holiday classic, “The Twelve Days of Christmas,” the price tag for the PNC CPI is $34,130.99 in 2015, a mere $198 more than last year’s cost and in-line with the government’s Consumer Price Index, which has increased 0.2% over the past 12 months. See the full release to learn the prices of leaping lords and dancing ladies.